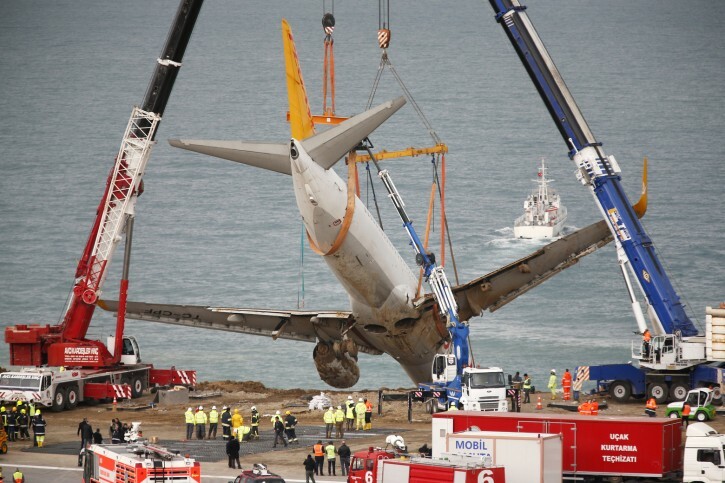 Trabzon, Turkey - Turkish authorities are using a large crane to lift a passenger plane that skidded off a runway in northern Turkey and stopped on the side of a slope just meters away from the Black Sea. 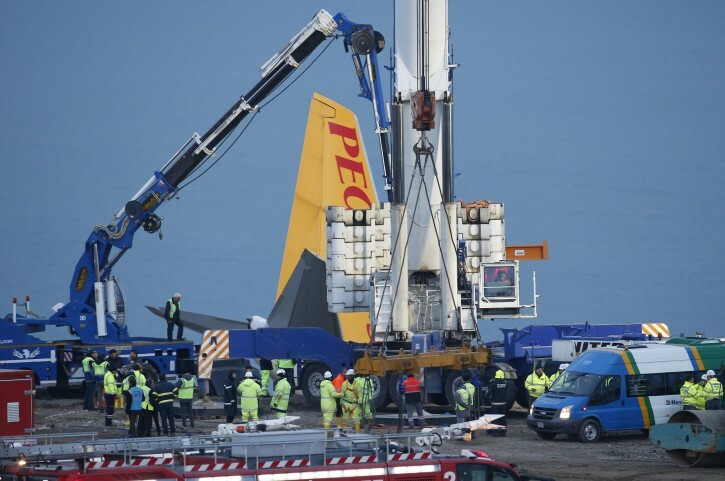 Ambulances and fire extinguishing trucks were on standby Thursday as the crane lifted the plane up the slope. Workers involved in the recovery posed for a group photograph in front of the half-dangling plane. Turkish media said the pilots told investigators the plane’s right engine experienced a sudden surge of speed that forced it to swerve to the left, toward the sea.